Here Comes the 29th Annual Savannah Music Festival! The 2018 Savannah Music Festival will see more than 100 live performances in 17 days – and all in downtown Savannah. March 29th through April 14th, 2018! The annual Savannah Music Festival is Georgia’s largest musical arts event, with concerts, dance parties, recitals, and more. The multi-genre celebration attracts renowned musicians from around the world. While the festival’s initial focus was jazz and classical, pop, folk, and other genres have been added over the years. Last year saw the introduction of film and dance productions to the mix. Savannah Music Festival 2018 has added some new venues as well as additional programs. The biggest, new addition is the 11 hour finale on April 14th at the Trustees’ Garden. This all-day concert runs from noon to 11pm and includes headliners Jason Isbell and the 400 Unit, Tedeschi Trucks Band, and Gillian Welch. Other highlights from Savannah Music Festival 2018 include opening night’s Rhonda Vincent & The Rage and the Claire Lynch Band. The North Mississippi Allstars are scheduled to play Ships of the Sea Museum on April 12th. Jazz drummer Antonio Sanchez will perform his original score for the film “Birdman” live, April 1st. Trumpet Masters: Celebrating Louis Armstrong & Lee Morgan will see Alphonso Horne and Terell Stafford honoring the greats in two shows. April 3rd at the Charles H. Morris Center. A special concert celebrating Savannah’s Benedetto Guitars 50th anniversary will take place March 29th at the Lucas Theatre for the Arts. The tribute will feature Pat Martino, Howard Alden, Chico Pinheiro, Romero Lubambo, and “King” Solomon Hicks. 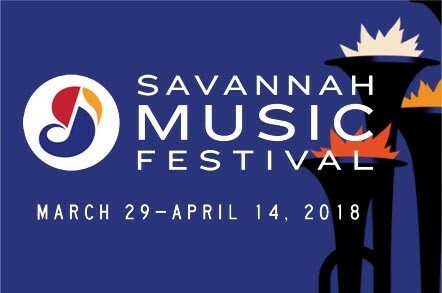 A full list of all the events and tickets for the 2018 Savannah Music Festival are available online. Savannah Music Festival always fills town tothe brimming. If you hope to attend, you’ll want to acquire your rooms while there are still some to book! McMillan Inn is located in Savannah’s downtown historic district, within walking distance of most festival venues. Our convenient location means less time traveling, more time for the things you came here to see. Book your stay at McMillan Inn today!